The Samuel Ginn College of Engineering is committed to awarding scholarships to high achieving students. In the past, the College has awarded over two million in scholarship money to students. 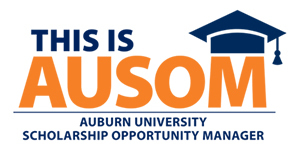 Students must apply through the Auburn University Scholarship Opportunity Manager (AUSOM) each year to receive consideration for university-wide and Samuel Ginn College of Engineering scholarships. AUSOM’s online features and benefits allow students to search, review requirements, apply and accept awards for available scholarship opportunities, all within one easy-to-use site. General engineering scholarships are not restricted according to major, but may be restricted according to state or county of residency, as well as financial need. Departmental engineering scholarships are awarded to those students who have declared that major on his or her admissions application. More information including important dates and deadlines can be found at www.auburn.edu/scholarships. For additional information or questions regarding engineering scholarships, contact Jessica Taylor, Director of Recruiting and Scholarships, at jessica.taylor@auburn.edu or call (334) 844-7897. Students are encouraged to complete the Free Application for Federal Student Aid (FAFSA) to receive financial aid. 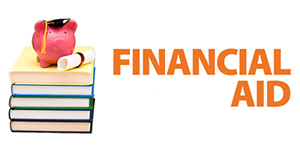 The FAFSA is available online at www.fafsa.ed.gov and should be received for consideration of financial aid, including need-based scholarships. Additional information can be found at auburn.edu/finaid.